As of today, Flipnote Hatena has been available for users in the Americas and Europe and Oceania regions for 1,353 days, and there are still 36 days left for us to enjoy the service together. Hurry up and post some new animations and share them with the world! Please note that we will be not be posting the news on Friday May 3, 2013 because it is a national holiday in Japan. For this reason the weekly topic will be extended for an extra week. If you haven't yet tried making a Flipnote about the weekly topic, please give it a try! ★ Arigatou (id:azinohiraki300) from Japan posted this Flipnote of a Kabuki style character with post-nasal drip. The best of the last week's topic: "Sneeze"
There were over 600 Flipnotes posted about last week's topic, and here are some of our favorites from around the world. ★ steven (id:vajra12) posted this funny animation of a real-life sneeze. ★ Is it allergies or bugs that make the character sneeze in this animation by EndY CAt (id:armorspell)? ★ The bullfighter has a secret weapon in this excellent animation by Najat.T.S (id:gold69). ★ We liked the stylish characters in this sneeze Flipnote by SweetTart (id:roxanna4usa). ★ Be careful where you sneeze in this cute animation by 「ucewdv ^^ (id:wda145). ★ Sneezes come to life in this amazing animation by doodler=!! (id:naruandpokefan). ★ A little sneeze leads to trouble in this funny animation by DSITEROL (id:Classic-Angels). ★ Check out the big sneeze in this humorous Flipnote by Ghostie (id:FallenWarpstar). ★ It is hard to stop a sneeze in this cute animation by JS DSI (id:Bonggone). ★ A chess player makes an unexpected move in this animation by Licanka (id:Licanka). ★ Check out the sneezing gorilla in this nice animation by $AM (id:sam972). ★ We liked this cute animation about a pair of pandas by Diamond (id:Sapphire1357). ★ Enjoy the beautiful cherry blossoms in this funny animation by Tooru.F (id:Tooru_F). ★ Real-life and television are not the same in this Flipnote by Foomin (id:wrbyno10). ★ Tako Death (id:rabbit_thankyou) posted this amazing animation about a deadly sneeze. ★ A face mask saves the day in this animation by Johnny 3 (id:a3735963). ★ We liked this cool Flipnote by Ayumu (id:ayume1120) with a human beatbox soundtrack. ★ Check out the sneeze in this realistic animation by Okiryouta. This week we would like you to create Flipnotes about clouds. Make stories about flying or walking through the clouds, animate clouds with funny shapes, rain clouds, smoke clouds, dust clouds, clouds that can talk or sing, or tell how clouds are formed. See where your creativity takes you! Please submit your weekly topic Flipnotes by 9:00 PM on May 9, 2013 (Thursday) US Pacific Time, and we will present some of our favorites on May 10, 2013 (Friday). 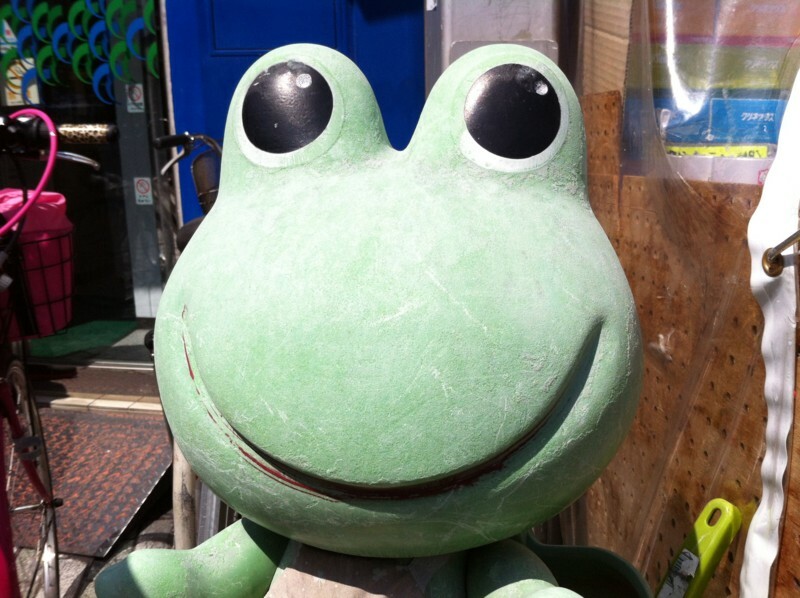 ★ Aaron (id:aaron) took this photo of a frog statue in front of a drug store in Kyoto. You can find many cute characters like this on the street in Japan. 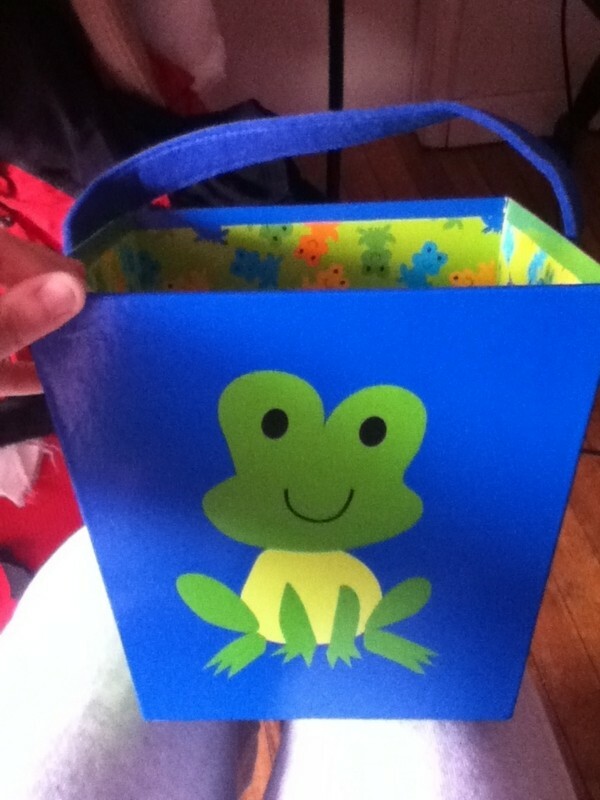 ★ Skittles (id:Rainbow_Skittles) posted this photo of a cool froggie Easter box.